RE: Can EXPWallet running on win32 ? You don't need to install it, just run and wait some time while blockain will load. Can I copy windows keystore folder to linux keystore folder to mine on both OS using single wallet? First of all, I would like to see correct balance in block explorer, because there is zero now. 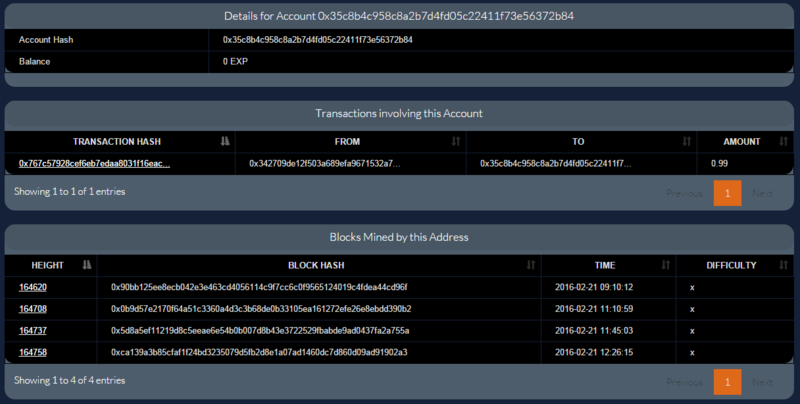 The second one, is to see amount from mined blocks. Some times I've got 8 EXP, some times more, but I can't see it anywhere, either in expwallet.